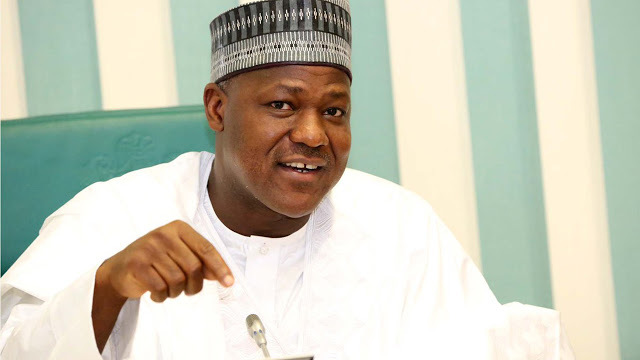 Hon Yakubu Dogara, Speaker of the House of Representatives, Thursday said that the trade relations between Nigeria and China was skewed to favour the Asian country to the detriment of the West African country. Consequently, he urged China to open more opportunities for Nigeria to benefit from the bilateral trade agreement between the two countries. Dogara spoke when he received a delegation from Chinese Ministry of Foreign Affairs, led by Mr Ji Pieding in his office. He said that Nigeria was barely getting economic benefits from the partnership between the two countries, while China, on the other hand, enjoyed patronage from the government and people of Nigeria. He therefore urged China to help Nigeria develop its market by bringing more of its production plants to the country. : "As representatives of the people, we must always point out the fact that the balance of trade between Nigeria and China is really, I don't want to use the word skewed, but for want of better word, I will say it is tilted in favour of China and for obvious reasons. We can't pretend to compete with China when it comes to production. We are just starting, we are building the foundation and the infrastructure that we need to be able to produce things we can export and earn foreign exchange but China has a dominant position when it comes to the issue of trade between China and Nigeria and we want that to be better. "As we serve as consumers, we should be able to export some things to China. In my engagement with the ambassador I told him that for those things that economics of scales determine Chinese businesses can make in Nigeria, we should encourage or open a corridor by which we can attract those businesses into Nigeria and there is huge market. Even if we are not exporting to any part of Africa, 180 million people is a market you will find very difficult to saturate with products. "And I said if we start looking towards this, it is going to help our relationship move forward. China, of course, is very strong. In Africa, we speak with adages and proverbs, and we say a strong man doesn't run alone. When he runs, he pulls others along. Anytime you see a strong man running alone, it is a sign of weakness. Like they say in other places, together we are stronger and so, China should try to pull others alongside as they move forward and I hope Nigeria will be one of those countries China will pull along."